MSI recently launched its new P65 Creator laptop in 2018 IFA Berlin. As the name suggests, the P65 Creator is engineered for creative users, including photographers, designers, and 3D animators. 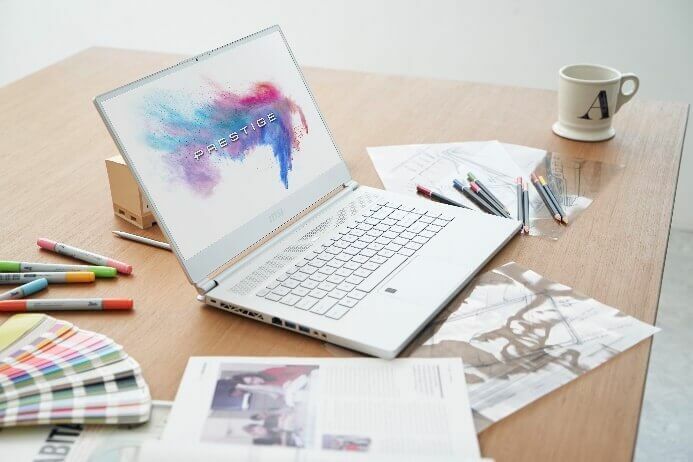 To match their creative minds, the P65 comes in two stylish variants: a standard silver aluminium finish, and a limited edition with pearl white aluminium and gold accent. Giving off a thin bezel display, the device sports a 15.6-inch FHD panel. Moreover, it is packed with MSI exclusive True Color technology that offers exceptional color fidelity to provide close to 100% sRGB accurate and vivid colors. Under the hood, it carries up to 8th Intel Core i7 processor coupled with NVIDIA GeForce GTX 1070 with Max-Q design. It is also equipped with the brand’s cooling system Cooler Boost Trinity that enables the device to outperform its competitors. Its battery is said to last for up to more than 8 hours, as well. Its local availability and pricing are yet to be announced. We’ll update you as soon as it launches in the country. So, stay tuned!